Investors are preparing for a blockbuster year of Chinese tech IPOs. 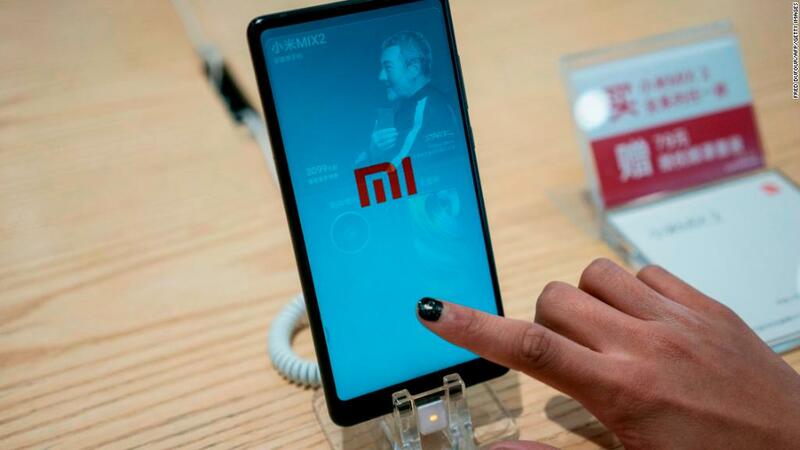 Smartphone maker Xiaomi filed this week to go public in Hong Kong in what's expected to be the world's biggest IPO since 2014. It is one of several major Chinese tech companies that could make their stock exchange debuts this year. They include China's biggest ride-hailing company, Didi Chuxing; the country's top mobile payments firm, Ant Financial; and China's most popular music streaming business, owned by Tencent (TCEHY). The companies have built up their businesses to "a size that is interesting for institutional investors," said Hans Tung, managing partner with venture capital firm GGV Capital, which is an investor in Didi and Xiaomi. They could face a volatile market: 2018 has been a rocky year for many tech stocks including China's biggest, Tencent and Alibaba (BABA). But there's still a lot of excitement surrounding potential giant IPOs from some of China's biggest startups. "It's the internet companies driving growth in China," Tung said. He points to the huge market value of Tencent and Alibaba, which now eclipse the country's former stock market giants in banking and energy. Tung said that would have been unimaginable five or ten years ago. Here are some of the top firms expected to follow Xiaomi in filing to go public. Didi is best known for driving Uber out of China in 2016 after a vicious, multibillion-dollar battle. Since then, investors have pumped billions more into the company. Its latest funding round in December valued it at $56 billion. The company is expanding internationally, buying an Uber rival in Brazil in January and launching its own service in Mexico in April. Didi is reportedly considering an IPO by the end of this year, potentially putting it ahead of Uber, which plans to go public in 2019. 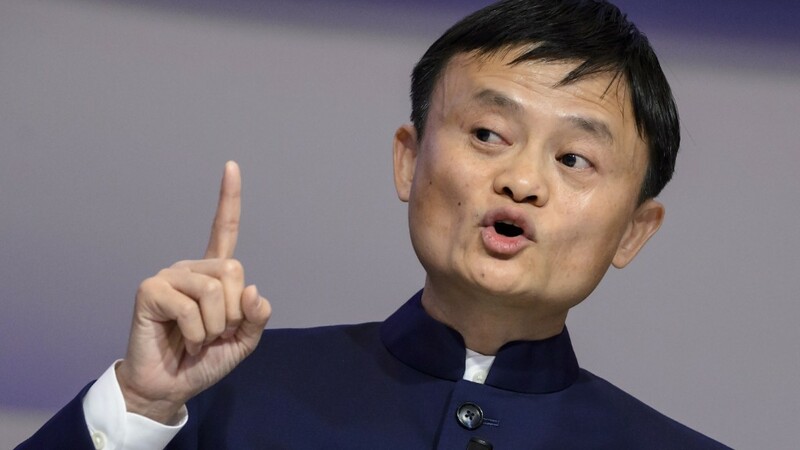 Ant Financial could be the second company worth tens of billions of dollars that Chinese tech tycoon Jack Ma takes public. The affiliate of Ma's Alibaba is best known for its mobile payments service, Alipay, which is used by hundreds of millions of people in China. It too is expanding overseas. In China, Ant is also offering an experimental credit-scoring system built from its troves of user data, and a product that lets users invest small amounts of money left in their Alipay accounts in a massive money market fund. Analysts expect Ant to follow Alibaba and list in New York. Last month, the company was reportedly preparing to raise money in a funding round that would value it at $150 billion ahead of a potential IPO. An Ant spokesman said the company doesn't have a timetable or a plan for an IPO. Meituan-Dianping likes to call itself the "Amazon of services." The company started out as an app where people could get coupons or discounts for restaurants, similar to Groupon. It now offers a huge range of services. Users can hail rides, get food delivery, make lunch reservations and even buy plane tickets -- all through a single mobile app. The company just expanded into dockless bike-sharing, buying Chinese startup Mobike early last month. 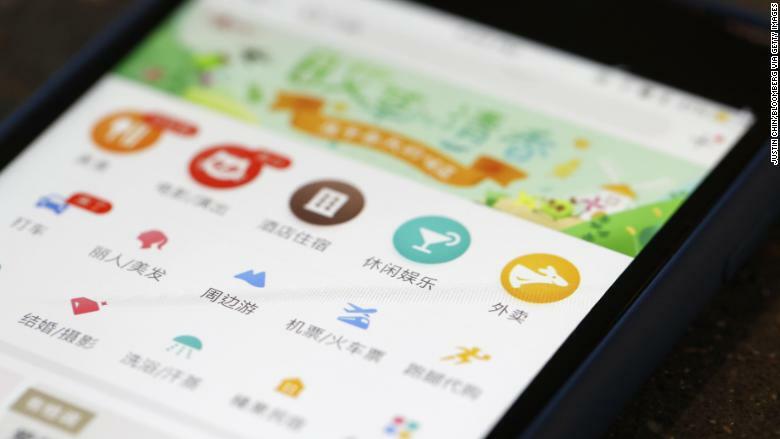 Meituan-Dianping's latest funding round valued the company at roughly $30 billion, putting it in the same league as Airbnb. The Chinese startup is reported to be planning an IPO later this year. A spokeswoman for the company declined to comment. Ten years ago, the idea of Chinese users paying for music was almost laughable. But the rise of smartphones, the quality of streaming apps and the freemium model -- where users listen to advertisements rather than paying -- convinced millions of people to sign up. Tencent Music dominates music streaming in China through its QQ Music, KuGou and Kuwo platforms. Together, the services have around 600 million users, although only about 15 million of them are paying subscribers. It reportedly plans to follow Spotify (SPOT), which listed in New York last month, in going public this year. The two companies have a strategic partnership and bought minority stakes in each other last year. At that time, Tencent Music was valued at around €10 billion ($12 billion). But it may seek a valuation more than double that in its IPO, according to reports. Tencent did not respond to requests for comment on the matter.